To celebrate thirty years of practice Alida Dal Degan and “Ayurveda Monaci Erranti” is offering two training courses hosted by MIVA, a holistic association in Bosa. Massage with Water following the tradition of Monaci Erranti. This treatment brings balance to body temperature, provides very deep relaxation and regenerates the nervous system. It brings awareness to the nature and the causes of the discomfort held “unheard” within the body and the mind and the trauma caused by stress . This awareness opens the doors to healing. The cost is 320,00e. A certificate of attendance will be given upon completion. 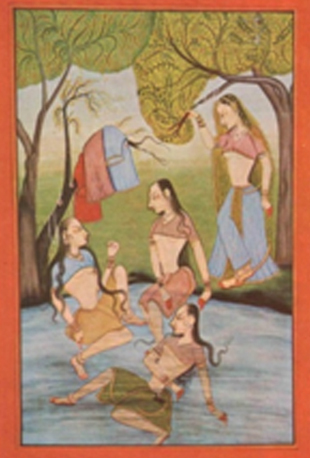 Alida Dal Degan is a direct disciple of Maestro Govinda and offers this training according to his instruction and will. 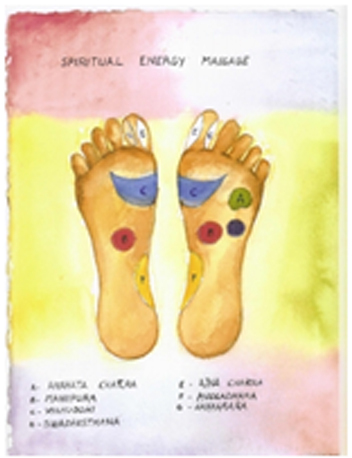 The massage is practiced on the “chakra” – areas on the soles of the feet – and brings a state of profound relaxation, wellbeing and spiritual harmony. This treatment has very few contraindications and brings relief even to people in a poor state of health.